The above brass farthing measures 16.4 mm and weighs 1.12 grams. It was issued in the name of a Mr. W. S. & Mrs. M. S. who traded at the sign of the Ship (presumed to have been a tavern) in the Temple Bar Without district of Westminster in 1649. 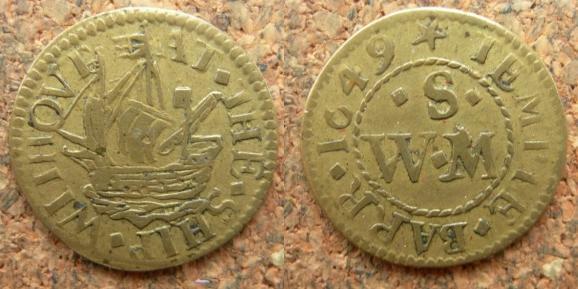 This makes it one of the earliest farthings to be issued in the 17th Century token series. Obverse: AT.THE.SHIP.WITHOVT , around edge. Within, A three-masted ship sailing left. Reverse: (star) TEMPLE.BARR.1649 , around twisted wire inner circle, triad comprising W | .S. | .M , within. 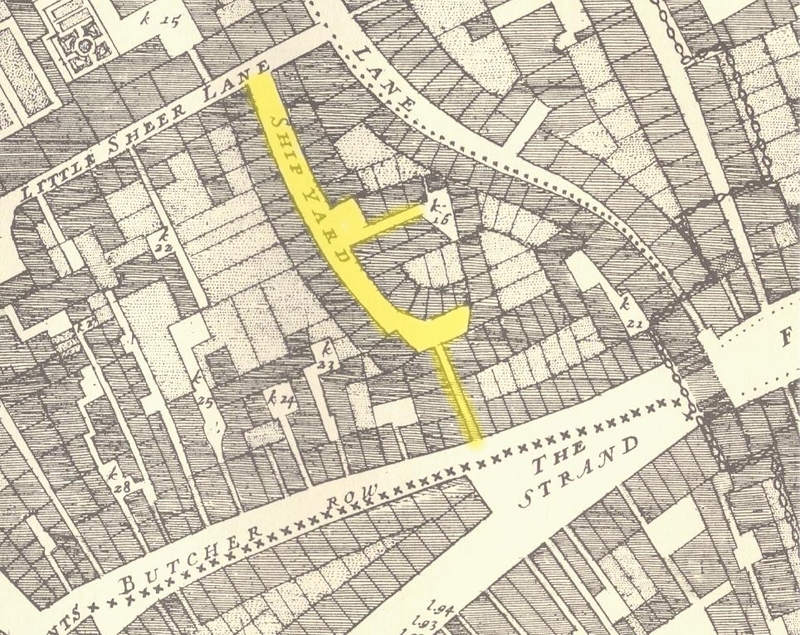 The Ship tavern was situated in Ship Yard, a lane which ran off the south side of Little Sheer Lane and which to the south was connected to The Strand by an alley. 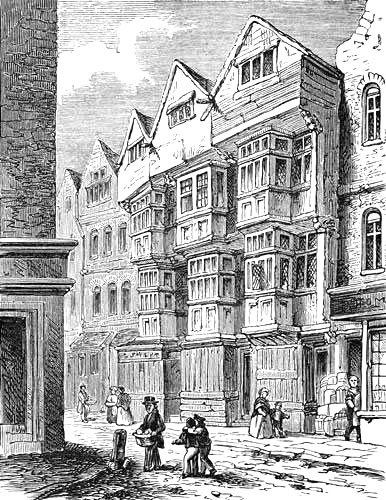 This alley was located on the opposite side of The Strand to entrance to Palsgrave’s Head Court. There is a reference to the Ship Inn near Temple Bar as early as 1571. In 1654 the engraver William Faithorne (1616 to 1691) establish a print shop at “the Sign of the Ship within Temple Bar”. By 1662 he had moved his premisses to a shop “next to the Sign of the Drake without Temple Bar”.